Our range of products include polyester drawcords, multi color polyester drawcord and polyester cord. Polyester Drawcords are available in every shade possible and are designed using its excellent features. 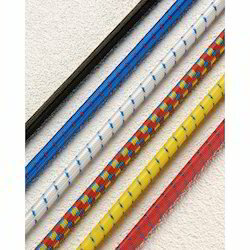 We have an extensive range of 100% pure and blended Multi Color Polyester Drawcord for meeting diverse industrial applications. 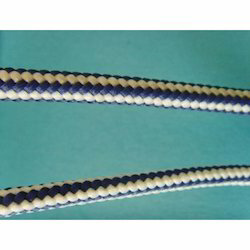 We are one of the leading manufacturer, trader & exporter of Polyester Cord in Mumbai, India. Ideal for crafts work and quilting application our offered polyester cord becomes the best selling item in the segment. These cords are made from premium grade material at our well integrated setup under strict quality supervision. Further, the high quality cord can be ordered from us in varied thickness specifications at a leading price. Looking for Polyester Drawcord ?